If you can think it, we can make it. We are an eLearning development vendor who specializes in custom training experiences, award-winning content, and unique eLearning solutions. We design the learning products to be informative, engaging, memorable, and ensure high knowledge transfer and outstanding training outcomes. Some examples of the products we offer include: online courses, interactive learning materials, multimedia assets for educations, learning games, simulated experiences, timelines, online tests, and more. Tell us about your training goals, and we’ll come up with a solution that will get you there. We love working on exciting projects for a variety of customers, and you will love the high-quality learning products we deliver. Learn more about our custom eLearning services. We advance the learning and development industry by allowing all Learning Experience Designers and eLearning Developers use our advanced eLearning widgets that can be added to any Articulate Storyline or Adobe Captivate course. Learn more about Cluelabs eLearning widgets. We design high-quality eLearning solutions that help our clients improve skill development, reduce losses, and increase sales. We offer solutions in the following categories: product knowledge training, software training, compliance learning solutions, skills and behavior training, etc. Learn more about our eLearning solutions for business. To date, operations in every industry have been enhanced with the use of Artificial Intelligence. As a leading eLearning production company, we bring the same transformative force of AI to eLearning development and implementation. Virtually everyone in your organization can benefit from AI-powered eLearning. AI is capable to improve the learning process resulting in higher knowledge transfer, decreased costs, greater transparency of the eLearning outcomes, data-informed program implementation, and, last but not least, deeply engaging personal learning experiences for the learners of all levels in your organization. Learn more about eLearning powered by AI. We design custom digital learning experiences for the world’s coolest companies. To us, learning is never a one-size-fits-all product, and therefore, any learning solution we produce is tailored to each organization’s goals and needs. Our clients often know what their learners need to know, but they may not know the best way to get there. We work with the companies to design the best training leveraging available resources and unique strengths in order to create impactful learning experiences. Looking for a reliable eLearning production company? We are a full-service learning design and development vendor based in New York and serving customers nationwide throughout the USA. We stand out from other eLearning development companies as a leader that offers cutting-edge learning solutions to businesses, government agencies, educational institutions, and non-profits. We are consistently rated as one of the top eLearning Companies in the USA. We perform a complete life-cycle of instructional design services, online learning, eLearning solutions development, blended learning, mobile learning, curriculum development, and facilitation. The digital learning products offered by our team can be hosted online, on your corporate LMS or our cloud-based learning management system. We are active in the learning and development community, and maintain close partnerships with other leading eLearning providers. Learn more about eLearning Company. eLearning Company, Inc. is constantly recognized as a leader in the training industry for its commitment to strive for excellence when it comes to development of eLearning content as well as design of learning experiences for our customers. The things that set up apart include high quality of developed materials, quick project turnaround, flexible timelines, genuine interest in providing outstanding learning products, customer care, and many others. It’s safe to say that our customer love working with us and so will you! 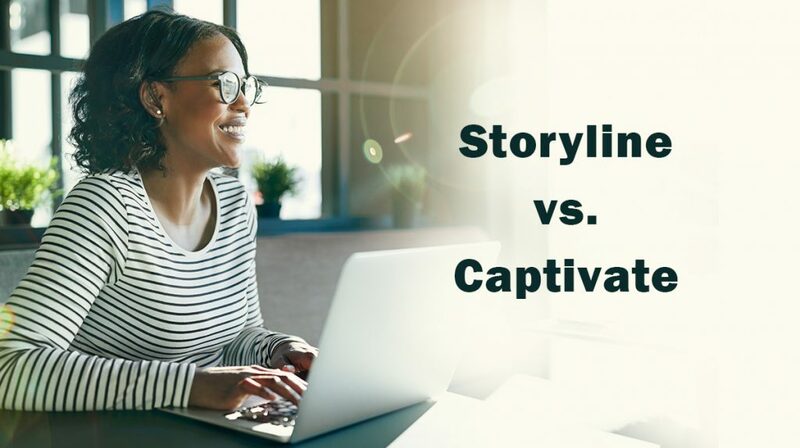 Read full article on our blog: Storyline vs Captivate - Features of Articulate Storyline and Adobe Captivate Compared Side-by-Side. Questions About eLearning Development Cost? If you are looking to find out how much your eLearning project would cost, we will gladly discuss your goals with you and will provide a competitive price quote. We will even help to you to compare our products to the offerings from other eLearning providers to ensure that you select an eLearning production company that is best for your business or your organization. Simply submit an eLearning development cost price quote request and we'll get right back to you. 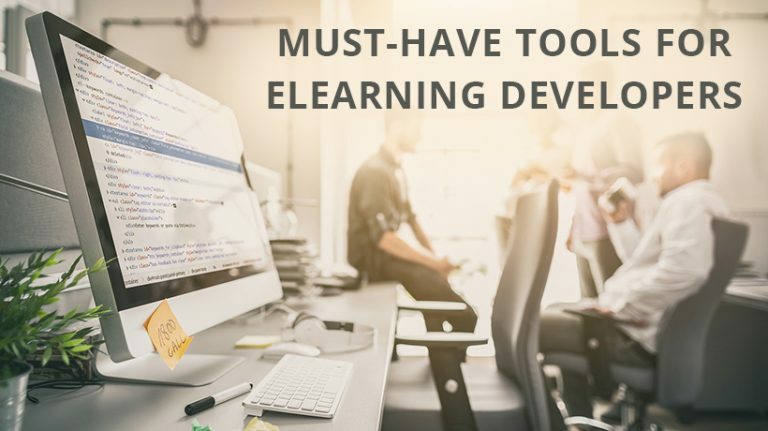 Read full article on our blog: New Must-Have Tools for eLearning Developers.